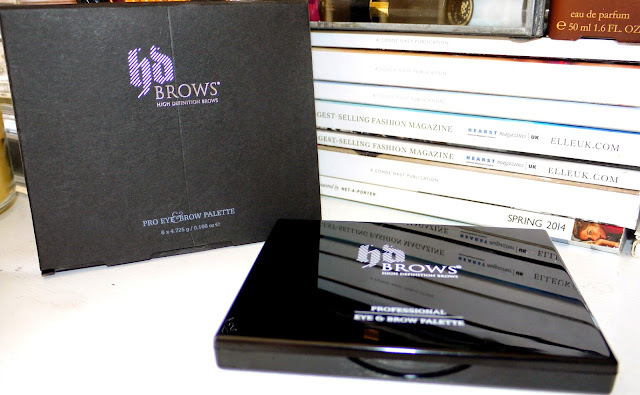 Evening my lovelies, so today im coming to you with a product which is new to me and that is the HD Brows - Pro Eyebrow Palette! I picked this up after seeing a fellow blogger had written about it being a really good price on Ebay at the moment, the reason for this being that HD Brows have rebranded and redesigned all there packaging so the older packaged bits were being sold off via online stores so I instantly knew I had to buy this, and after just having come back from a Wedding I had done I realised quite how many different brow shades there really are and I wasn't quite catering to everyone's needs I had to make up! I really like the older style packaging to be quite honest, its very sleek and shiny with the HDB logo on the front of the palette and comes with a HUGE mirror inside, I don't think I've ever seen a palette with such a big mirror inside, I find this super handy as you can see everything your doing and wont need to carry an extra one around with you! The shades inside the palette are super versatile, you can cater pretty much any brow shade with these six shades, even though im mainly a mixture between the first and second shades I can see I will get a lot of use out of this as I mentioned before I will use it on my clients who majority of people I have come across have significantly darker brows than myself! Another great use for this kit is that you could double up the use of the product and use them for matte shadows, all over the lids or for defining in the crease. The pigmentation of the shadows are amazing, I was quite sceptical of the fact that I had purchased this from an Ebay store that it wouldn't be a genuine product and the quality would be rubbish but I for one definitely believe this to be a genuine HDB product as comparing it to other peoples palettes it is identical and the quality of the shadows is outstanding! 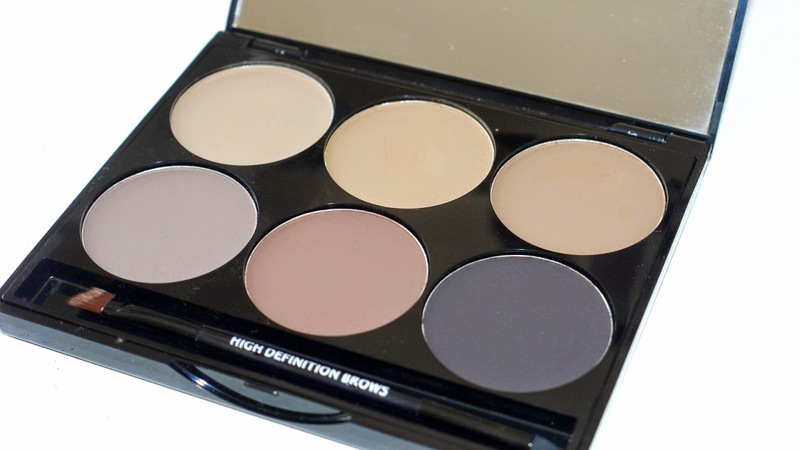 The shades in the palette are as below, you get some really great shades and they blend into the brows seamlessly, you cant see the visible lines like a pencil would give you and personally im a huge lover of shadow for the brows over any other product as it gives the most natural and flawless finish. and it is priced at £13 with free delivery which is such a good deal! Let me know if any of you purchase this and if you have any other HBD products you recommend? This looks like a such a good product. I love that there's a decent variety of shades to pick from. I've never seen this product but it looks so good! I love how they give you a variety of shades!